Crew neck and simple slim sleeve hem design for comfort. 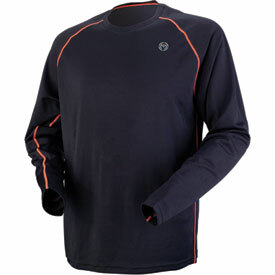 Shirt works well as a base layer. Very comfortable. Fits great. Light and comfortable. Very flexible. Great price.